As some of you may know, my wife and I went to Duluth to celebrate our first wedding anniversary. Duluth is one of the most beautiful towns in the United States. Whether taking a stroll along the Lakewalk or the Glensheen Mansion, the city seems to present a different place in time; the beauty of the Old West mixed with the trappings of the modern age. While I did not go to any Masonic lodges or participate in any other Masonic events, I did take some photos of the Masonic Center in downtown Duluth. The Duluth Masonic Center houses many organizations including 4 Lodges (Palestine #79, Ionic #186, Euclid #198, Glen Avon #306) the Scottish Rite Valley of Duluth, and a Demolay Chapter. Glen Avon Lodge #306 has a very good description of the Masonic Center in Duluth including the removal of four onion shaped towers that originally adorned the building and the antique lodge equipment still in use today. There is also another Masonic Temple in Duluth but sadly, I did not get photos. I am hoping one day to actually visit a Lodge in Duluth but until such time, the facade will just have to do. I know that I have previously blogged about the show "Bones" and the recurring villain, the Widow's Son Killer. No, our favorite blogger at the "Burning Taper" is safe from this serial killer. Apparently, the Widow's Son killer, aka Gormogon, murders members of the Knights of Columbus. I know, what, what, what, what?! Where is the connection with the KC's and a group of Freemason haters in the 1700's? Writer #1: Dude, dude, I have a freakin' awesome idea. Writer #2: What dude, should we go to the 'Bell'? I want Tacos. Writer #1: No dude, our show needs a kickass serial killer ... (feverishly turning pages in Occult book) I got it ... Gormogon. Writer #2: Like those statues on the sides of churches? Writer #1: No, they were like a group that hated Freemasons in the 1700's and stuff. Writer #2: Ok, since they're on churches, we should have him kill Knights of Columbus dudes. Writer #1: What?! Okay, I think you may be confused ... (grumble, grumble) ... Wait a second, I am hungry ... Killer of KC's sounds good to me. Let's go get some brain food. But I don't want Tacos, I had them for breakfast. Here is one of the Widow's Son killer episode for your enjoyment. Hanson, Hart (Creator). 2007 Bones [Television Show]. Los Angeles: Fox Broadcasting Corporation. Are you looking for great ideas to improve your Lodge? Would you like to know interesting and enlightening stories about Freemasonry? Cinosam is a website that was created by MWB Neil Neddermeyer that provides a great wealth of Masonic content. MWB Neddermeyer is Past Grand Master of Minnesota (2003) and the current Grand Orator of North Dakota. Cinosam was originally an emailed newsletter published each month containing biographies, stories and more; it is still published as a newsletter to this day. Cinosam hosts many great resources for Lodges. One of the best resources is a series of Powerpoint presentations and papers on Freemasonry, focusing with great detail on individual Lodge revitalization and improvement. I am greatly indebted for the work that he has published and have tried to implement his ideas in my own Lodge through my Membership Committee. The paper I have been using lately is his "100 Ideas for Member Recruitment and Retention." These ideas have been extremely useful in planning events in my own Lodge. I was fortunate enough to meet MWB Neddermeyer during the 2006 Installation of our most recent Past Master in 2006. He was the Installing Master and gave the presentation with the gravitas and eloquence that made the entire event. MWB Neddermeyer's dedication to the Craft, especially in the realm of Lodge revitalisation, is the main reason why this site is so important for our future. If you would like to receive the monthly email newsletter, you can subscribe on the Cinosam website. National Treasure 2: Book of Secrets. Prod. Jerry Bruckheimer, Dir. Jon Turteltaub, Perf. Nicolas Cage, Diane Kruger, Justin Bartha. DVD. Walt Disney Pictures, 2007. What does National Treasure 2: Book of Secrets have to do with Freemasonry? Not much, sadly. Except for the random references to Albert Pike, and the use of the George Washington Masonic National Memorial presentation room, the movie lacks the same ties that the first had for Masonic history. I realize that we owe a lot to the National Treasure movies for bringing us back to the bright spotlight but couldn't we have received at least a little mention in the sequel. We opened up the Masonic Memorial (paid for by 50 of 51 Grand Lodges) for them to film in but the name was changed to another location. I realize this is old news but hopefully, if another movie comes out, we will at least have a better part to play in the story, other than a stage. Also, how in the world did the Olmecs get to South Dakota? Huh?! As I have posted recently, Corinthian Lodge #67 hosted what is known as a Friendship Night. I would like to congratulate Brother Paul, our Senior Warden, for putting together such an interesting program for the evening. Our Lodge was fortunate enough to host three prospective candidates, one petitioner and two guests from Carnelian Lodge #40 in Lake City, MN. We were also fortunate to have Worshipful Brother Olaf Kuhlke present, "Why Geometry Matters" and a presentation from Minnesota Masonic Charities. Also in attendance were many brothers from our Lodge excited for the night's program. "My Sister and Brother-in-law were visiting us, but I was called to the SE area conference. We were all disappointed, because we enjoy each other's company. There was a lot of talk about 'secret societies' and costumes and old men behaving strangely. They could not understand why someone like me, who has been a notorious NON-joiner, would be taking a day off to go to anything Masonic. But, I took the good natured ribbing with a smile, and promised to be home by evening. I am in no way claiming any bragging rights about the donation, but it was sure a different attitude around the supper table that night. Now my sister and her family have heard one more 'truth' about the Craft!" After we had brothers in the Lodge discuss what Masonry meant to them, we turned the presentation to Professor Kuhlke who presented a very enlightening presentation on the meaning of Geometry in Masonry. What I can say with true certainty is "Wow!" He was able to present an interesting description of the effects that Freemasons had on the city of Washington, D.C. without conspiracy theories, cutting lines down imaginary streets or adding credence to upside pentagrams and hidden squares and compasses. I won't reveal what he describes because it is just so amazing and I don't want to spoil the surprise for everyone else. His explanation was clear and simple and made sense in ways that the History Channel or any other media outlet could never accomplish. If you have the chance to hear him speak, attend. His theories are amazing simple, concise and as he explained, can be seen in many other cities including Indianapolis. He has recently written a book entitled Geographies of Freemasonry: Ritual, Lodge and City in Spatial Context which unfortunately is not available at Amazon but can be purchased at Mellen Press. The Friendship Night at Corinthian Lodge #67 has helped to create excitement in the Lodge after coming out of darkness. I also think that potential candidates were also able to feel comfortable about Masonry. Here is looking forward to the new season. Corinthian Lodge #67 of Farmington will be hosting a Friendship Night at 7:30 pm with a potluck at 6:30 pm. Our featured speaker is Brother Olaf Kuhlke, an assistant professor of Geography at the University of Minnesota, Duluth. He will be presenting, "Why Geometry Matters: Masonic Rituals, Lodges and Cities and the Importance of Order". Brother Olaf is also a very active Freemason and maintains a website about his experiences and thoughts of the Craft. He will also be selling copies of his book, GEOGRAPHIES OF FREEMASONRY: Ritual, Lodge, and City in Spatial Context, at a special publisher's discount. Supplies will be limited so be sure to arrive as early as possible. I saw Bro. Kuhlke at the 2008 Minnesota Grand Lodge Communication in Duluth and found the subject of Geography and Freemasonry to be fascinating. I am very excited to see such an interesting and knowledgeable speaker and I would like to encourage all brothers in Minnesota to attend this great event. For those who don't know what a Friendship Night is, it is a way for our Lodge to open up to perspective candidates and give them a chance to meet Brothers and allow them to make an informed decision on joining. If you know any men who live in the Southern Suburbs of Minneapolis-St.Paul who are interested in Freemasonry or you yourself are interested in joining and you live in the area, please contact me and I will give you directions to the Farmington Masonic Temple. Friendship Night will also be a potluck so be sure to bring a dish for all of us to share. I hope to see you there. Wow, I'm going old school for this Pop Culture and Freemasonry installment. Today's entry is the Opera, "The Magic Flute" by brother Amadeus Mozart. Many scholars have acknowledged that the Magic Flute has very overt Masonic overtones. Edmond Masonic Lodge #37 has presented a very good article in regards to the Masonic meanings. I have also posted the first Act of the Magic Flute preformed by Northwestern University. Enjoy! The Internet is one of the best methods to aggregate information. Whether it be an online phone index or dictionary, the Internet has made organizing, finding, retrieving and using large amounts of data simple (well, relatively simple). Thankfully, Brother Abraham Nasser has put together a wonderful new website called Lodge Tracker. Before, if a brother was looking at Lodges to visit, he would have to get out the phone book or go to the Grand Lodge website (if the Grand Lodge had a website) just to find an address. Now, brothers, in many jurisdictions, can now enter their Lodge's information into the site and can peruse the records for other Lodges that have been added. I have added my Lodge, Corinthian Lodge #67 and found the process incredibly easy. The site includes an area to put a photo of your Lodge building, contact information and a Google Map of your Lodge's location. 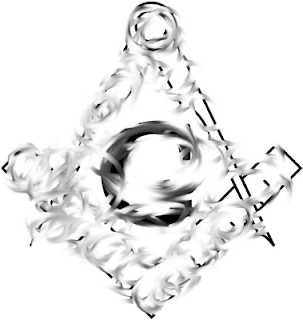 I would encourage all my brothers to add their Lodge information so as to create one great central resource when looking for a Lodge to join or visit. I assume that everyone is aware of the Republican National Convention is being held at the Xcel Energy Center in Saint Paul, MN. To all those that are coming to Saint Paul, whether you are a delegate, protester, reporter or just a curious person, welcome to my beautiful state. While most of the coverage is on Hurricane Gustav, the Convention will still go on in some fashion. In this highly charged politically time, when the blood boils over perceived differences, I would like to call everyone's attention to Minnesota's other great attractions, including our Masonic treasures. Are you a Mason? While most of the Lodges are "dark" during the summer, a few Lodges continue to meet during the summer. To find a complete list of Lodges in Minnesota, including if they are open and contact information, visit the Grand Lodge of Minnesota's website or the Prince Hall Grand Lodge of Minnesota's website. Also, we have one of the few Scottish Rite Valleys that perform all 29 degrees, the Minneapolis Valley. To find out more about the history of this building downtown, here is a link to Heritage Preservation page on the City of Minneapolis' site. Also, near the Pioneer building is the Hennepin Center for the Arts. In all, Minnesota Freemasonry is extremely robust and exciting. Do you like really large gatherings of people eating crazy fried food on a stick? The Minnesota State Fair is just right for you. The last day is today, Labor Day, so if you need to get your Pronto Pup, Cheese Curd, Sweet Potato Fries fix, you gotta do it today. and the Hennepin Avenue Theatre District. Also, Garrison Keillor's MPR staple, "A Prairie Home Campanion" continues to be recorded at the Fitzgerald Theater (named after famous author and Minnesotan, F. Scott Fitzgerald) in downtown Saint Paul. Maybe you would rather see an Orchestra or Opera performance. We have them here as well. If fine art is more your cup of tea, we have the Minneapolis Institute of Arts which has some wonderful pieces, from beautiful Asian art (don't miss Jade Mountain Illustrating the Gathering of Poets at the Lan T'ing Pavilion, it is an amazing piece) to Impressionism and much more. Here is one of the many videos that the MIA has posted on Youtube. Do you like to fish? With 11,842 lakes of 10 acres or larger, you've come to the right place. To find a good resource for knowing the rules, regulations and much more, visit the Minnesota DNR's website. Sadly, I cannot mention everything in the state but my advice is if you are in the state, even if it does not involve the convention, go and explore. Minnesota has so much to offer and you will never be bored. Wow, I guess I should apply with the Minnesota Tourism Department.